This former school was founded by the Duke of Devonshire in 1844 and probably designed by Joseph Paxton. 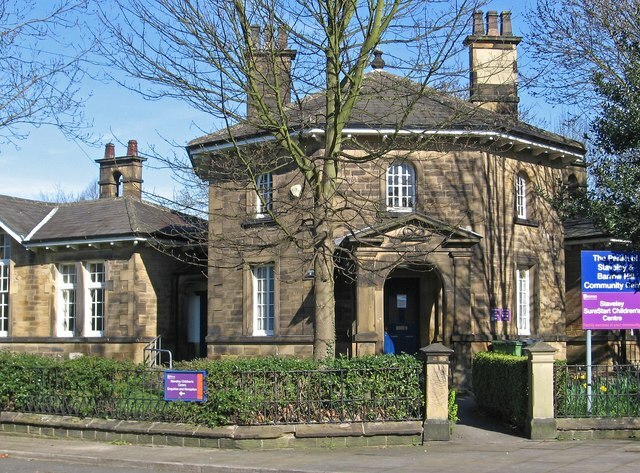 It opened as an all boys’ school in 1844 and became an infants and juniors school in 1927 and later as a controlled school in 1944 until in the 1970s when the school moved to a new school at Norbriggs and Speedwell Infants’ school. It is a grade II listed building. The current postal address is No 45 High Street, although the English Heritage listing shows it as being on Church Street. See page 25 of Link for more details.